The Ride Janie Ride Foundation would like to introduce to you three very special people. We have been blessed to meet Maxwell Donnelly, Skylar Huffstutler and Giovanni Nicoski-Rios. Maxwell, Skylar and Giovanni have been diagnosed with Acute Lymphoblastic Leukemia. It is our honor to have them as part of the Ride Janie Ride family and we take great pride in announcing that Maxwell, Skylar and Giovanni will be the recipients for Ride Janie Ride 2012. Please click on each of their pictures to read the biographies contained for each of them. Ride Janie Ride Foundation would like to thank all of those who nominated individuals. We will not forget any of the nominees and hope that they may be a part of Ride Janie Ride for 2013. Maxwell was diagnosed at the young age of 22 months with Acute Lymphoblastic Leukemia. The day we found out was the beginning of a very long and hard journey for all of us. He was responding well to his chemotherapy treatment until a routine spinal tap found several hundred leukemia cells in his spinal fluid. This was devastating to us. His doctors wanted to do a bone marrow transplant and we had his older sister tested but she was not a match, so he was put on a new and extremely intense protocol due to the relapse in his Central Nervous System. During this time, he was admitted 18 times to the hospital for high dose chemotherapy, at 4 to 5 days each stay within 1 year's time. He received well over 150 shots in his thighs either in the hospital, at clinic, or at home. Maxwell went through 12 days in a row of brain radiation and at the time, he was the only person his age that was able to do it without sedation. In October he turned 5, and he is currently in Long Term Maintenance and has another 6 months of treatment left. By this time, he will have spent 4 of his 6 years battling cancer. Maxwell is an amazing child who loves helping newly diagnosed kids at the clinic when they are afraid. He lets them watch him get his port accessed and when it's time for his shots, he loves an audience. In his free time, he enjoys playing with his friends, coloring, anything that has to do with Spiderman and he even helps clean the house with his mom. He takes everything in stride and is a reminder to those who know him that no matter how old you are you can get through anything. 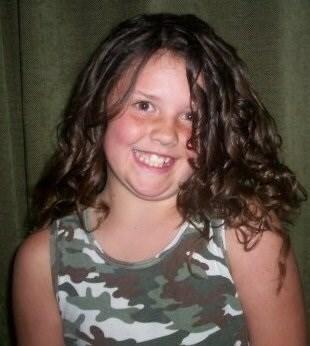 Hi, my name is Skylar Huffstutler I am 12 years old. I like volleyball, reading and movies. On February 25th of 2010 my life changed forever. I was diagnosed with T cell Acute Lymphoblastic Leukemia. The first two months I had to stay at St Jude in Memphis Tennessee. Since then I've been in and out of the hospital. My life has changed a lot. I go to school when I can but once a week I have to go to Peoria for treatment so I miss a lot of days. On January 15, 2011 my dad was diagnosed with cancer (Stage 4 Squamous cell carcinoma). So he went through treatments too. My family has been through a lot but we just take one day at a time. I can't wait until I am done with my treatments so I can be a normal kid again! As a young 8 year old boy, Giovanni has experienced a great amount of loss from losing both his grandparents in the past 3 years, to his father being deported 3 years ago and almost losing his youngest brother Rocky to a severe accident 2 years ago. He is now faced with a battle that no child should ever have to deal with. The summer of 2011, forever has changed our lives. Giovanni had just finished up the school year and was anticipating a fun filled summer with his 3 brothers, Ramon, Julian and Rocky. Unfortunately he became very ill with what we thought was a bad ear infection that would not go away no matter what the doctors did. Numerous doctor visits didn't give us the answers we were looking for until we ended up in the emergency room one night with a very high fever and shortness of breath. Giovanni's fever was brought down and under control and then given a chest x-ray. He was then sent on his way home, still not 100%. The next morning we received a call from his doctor's office, telling us that we needed to get to the office as soon as possible since my son may need to be admitted. At this point, Giovanni's health had become severely worse. He wasn't able to walk, hardly able to breath and in a lot of pain. Once we arrived at the office, the doctors told us that the results of the chest x-ray were in. Giovanni had weakened shoulder bones and compressed fractures of the spine which was an indication of leukemia or a tumor. He was then admitted immediately. After a few days, he was diagnosed with Pre-B Cell ALL. 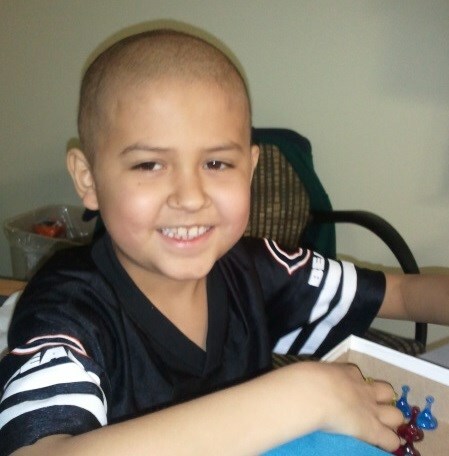 Giovanni is currently being treated at Central Dupage Hospital by a wonderful team of experts. Giovanni is undergoing a variety of chemotherapy treatments and receives regular lumbar punctures for chemo to be inserted into his spine. 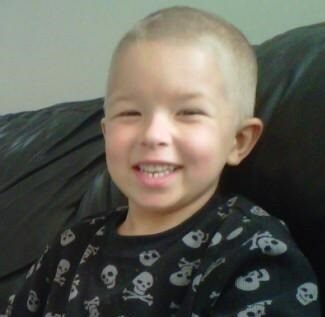 Giovanni has been in remission since a month after diagnosis and has no relapses since. Giovanni has proven to be a strong little man and my hero. His brothers look up to him for strength and encouragement, as do I. One thing I can say for Giovanni is that no matter how tough the times get, he always has a smile on his face.